Many lenders require an inspection, but it’s also a good idea for you to learn as much as you can about the physical condition of the home before you buy it. And while an inspection can’t guarantee the condition of a home, the inspector can bring items that need repair or any safety concerns to your attention. It is the buyer’s responsibility to schedule and pay for the inspection. You should schedule the home inspection as soon as you can after your offer has been accepted. This ensures you’ll have enough time to request repairs or to get out of the contract if the inspector discovers a deal-breaker for you. When choosing an inspector, your Realtor might have a recommendation, or you can find one through the American Society of Home Inspectors. An inspector’s job is to examine the current condition of a house. This includes pointing out what components and systems might need major repair or replacement. The inspector will examine the home’s exterior, including steps, porches, decks, chimneys, roof, windows and doors. Inspectors also look inside the home to examine the attic, electrical components, plumbing, heating and air conditioning, basement and crawlspaces and garages. A home inspection will not include cosmetic issues that don’t affect the working condition of the home. As the buyer, it’s important for you to be at the home for the inspection. Ask the inspector if you can follow him or her around to better understand what they’re examining and to ask questions if needed. This is a great way for you to get to know your new home and become familiar with areas that might need attention. After the inspection, the inspector will provide you with a report. You can then determine if you’ll ask the seller to make any repairs or give you a credit to make the repairs on your own. It’s important to keep in mind that no home is perfect, but the inspection report should help you determine if it’s the right home for you. If you’re buying a newly constructed home, the process is slightly different than the inspection for existing homes. Before you go to settlement, you and your builder will do a walk-through to conduct a final inspection. This walk-through provides an opportunity to spot items that might need to be corrected or adjusted, learn about the way your new home works and ask questions about anything you don’t understand. It’s important that you be thorough and observant during the walk-through. Examine the surfaces of counters, fixtures, floors and walls carefully for possible damage. Sometimes, disputes arise because a buyer might discover a gouge in a counter top after move-in, and there’s no way to prove whether it was caused by the builder’s workers or the buyer’s movers. 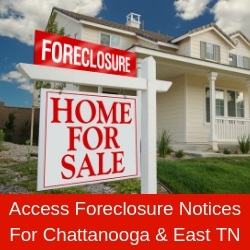 Learn more about home inspections for both new and existing homes in the Chattanooga area at www.hbagc.net.